Have you heard the back and forth on how Data is marketing’s savior or how Data is way overvalued in Marketing? On both sides of the debate, there are many opinions and strong feelings about how important it is to decision making, composition, design, user experience, etc. The reason you don’t or do like a specific food… DATA! That feeling you get in your gut when you know something is right or wrong… DATA! The Best Practice you tout as being so knowledgeable on… DATA! Emotions, likes, dislikes, associations, beliefs, etc. are all crafted from experiences and historic data that form these things for you as a person or business. You can take that data at face value or read in between the lines to solve problems, create efficiencies, innovate, become self-aware, understand an audience, etc. This information is extraordinarily important as it concerns decision making or creation at all levels, in all environments across all mediums. See how we use data in our approach to content marketing here. For the 18 years that I (John Bracamontes) have done work online and in the digital marketing space, not once had I ever submitted work to be recognized as a job well done. My opinion was that the work spoke for itself, because I drove leads, and leads meant new sales, and new sales meant higher revenue for my clients. I’ve seen over the years other agencies share in the successes of their teams and genuinely promote how great their clients are, which began to soften my perspective on the benefit of awards and recognition for the work outside of its result. I realized that uniting with a sense of pride on what you do for others, recognizing the value and celebrating together is massively powerful. 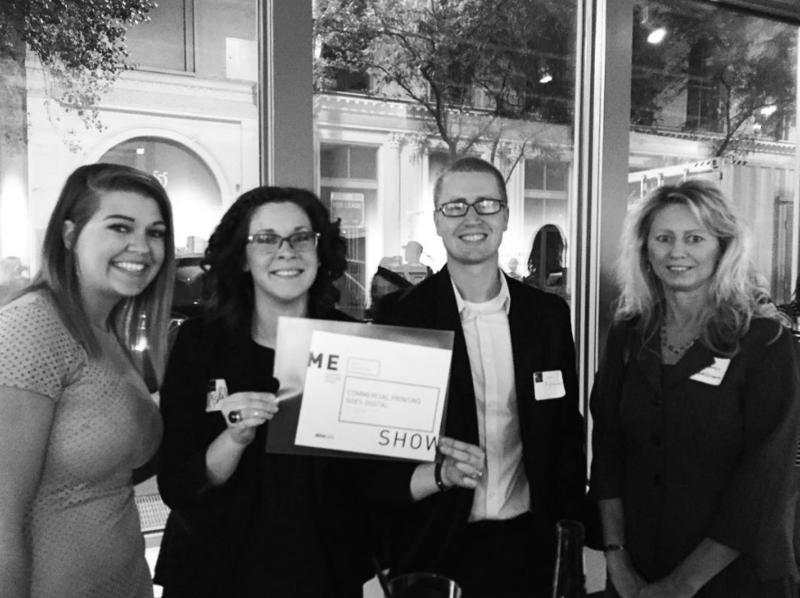 So this year, Acumen submitted one entry in the St. Louis Business Marketing Association’s B2B Marketing Excellence Awards. That night the team was recognized for the work we did (and do), we had fun and celebrated together, celebrated with others and set a precedent for the future of the agency. No longer will we hide our wins and pride for the value we bring to those who choose to work with us! And Thanks to Kopytek.com for being such an amazing group to work with! 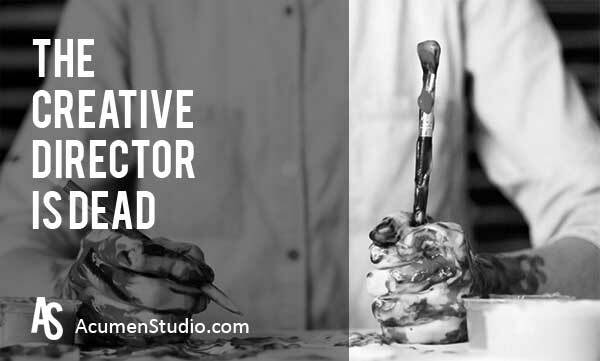 Not really, a Creative Director will still be needed, just not in the same way it is today. A recent article on AdAge.com spoke on how most ad & creative agencies are 5 – 10 years behind the current state of marketing’s capabilities. And the Creative Director works as it did back then where they create a few ideas, hand off the ideas and comps, then call it a day. Whether creative agencies want to admit it or not, their decisions on what to create are driven by data. They ask the client questions and create something they feel meets the client’s expectations. We get it, they want to please their client. Here’s what’s missing, The Customer! Best case scenario is that the client knows their customer so well that the data they give you is solid. Much of the time it needs to be supplemented with current customer behavioral & search data. It is important to look at what customers are searching for online and find out where & how they qualify products or services they are looking to buy. This will inform you on how to engage and what content to create for maximum exposure and conversion. Not only will the Creative Director need 3rd party customer data to inform creative decisions, but they also need to consider more technical aspects of design such as UX and UI as it relates to a customer’s motivations, needs, use of the medium and conversion optimization. Even more, this Director will need to be aware of how to integrate all 3rd party data into their design process. For example, variables in ads that are dynamic and will modify based on weather conditions in any given geography. Imagine a Starbucks ad that changes once it starts raining in St. Louis to show someone having fun in the rain with a cool umbrella and holding their favorite venti-sized drink as they smile & splash a small puddle. But it is totally different when it is dry and overly windy. We are advocates of moving towards a more informed creative process (see our Digital Marketing Audit), do this ourselves and want everyone to follow suit. Follow the leader (we like it at the front of the pack)! In July 2016, Smartphone apps accounted for 50% of all U.S. digital media time! This means that future months are going to be higher than 50% and solidifies the strength mobile has in the United States. 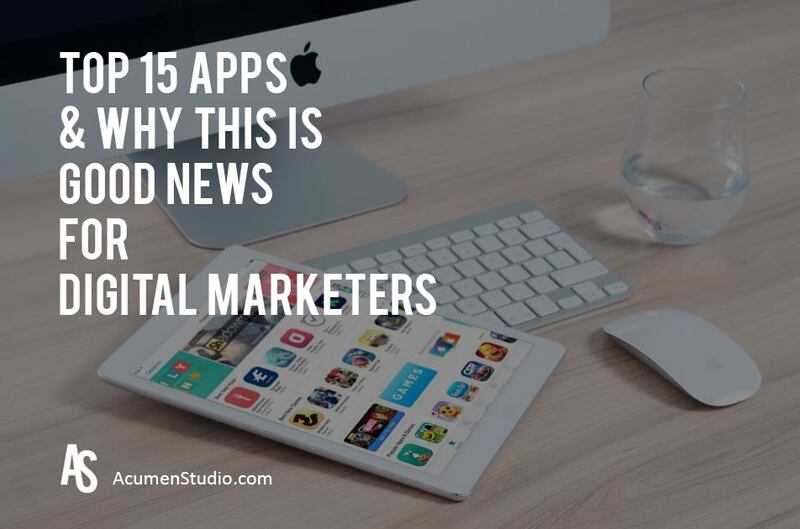 Another report showed the top 15 apps (by visits) in July 2016, which is another thing that really got us excited as Digital Marketers. Check out the list below and we’ll explain why. You’ll notice that Facebook, YouTube, Google Maps, Google Search, Gmail, Instagram, Snpachat and Pinterest are all listed. Obviously, the high use of social media platforms is huge for marketers. Social is strong and continuing to grow. YouTube remaining high on the list is a strong signal that video continues to be a huge preference for users across the U.S.
Pokemon Go is a little bit of an anomaly since it just launched and got so much PR hype, but still great news for mobile, marketers, apps and gaming. Even more interesting is that these apps are platform gateways. Few on the list are transactional or solely functional, they connect you to networks of people and information. Very happy to see these numbers and as Digital Marketers we are very excited about the future of what we get to create and optimize! Platform integration will be mandatory, user behavior will be easier to measure, interactions can be even more personalized and those same interactions can be created more intimately. He goes on to share these trends and his explanation of why they will have a significant impact on the future. Some of it I agreed with while other parts I did not. Here I am sharing both my opinions and ideas in comparison to Rampton’s. 1. Winning at mobile will mean having an app. Mobile usage is at an all-time high and shows no signs of slowing down. Consumers are using mobile for everything from buying products, to communicating with friends, to playing games, to finding local businesses. Over the past couple of years, business owners have taken this trend to heart, optimizing their sites for mobile through the use of a responsive site design. And while this is a great first step, it may no longer be enough to future-proof your business. Research shows that 89 percent of all mobile media time is now spent in apps, while only the remaining 11 percent is spent on the mobile web. This means that not having an app for your business is almost certainly costing you. If you don’t already have an app, now is the time to start planning for one. While I agree with what most of Rampton is saying here, I cannot make the same absolute statement that All businesses will need a mobile app. I am a big supporting of the mobile web and responsive design. The research that showcases 89% of mobile media time is spent in apps is skewed heavily toward consumers playing games, watching YouTube videos and messaging other consumers. So unless you are one of those types of companies, then there are larger questions to ask in determining your need for an app. We have had many companies come to us with ideas for customer portals or app ideas that didn’t need to be an app. In our opinion, a larger concern will be on integrating with other apps. Aggregators, Indexing and organizational apps will lead heavily in how we interact with our mobile devices, so getting cozy with these companies will be hugely beneficial. 2. Increase your use of freelancers now so you’re not playing catch-up. We now know that 34 percent of the US workforce are freelancers. This works out to over 54 million freelancers in America who contribute $700 billion annually to the national economy. It has also been predicted that by 2020 (that’s just four years away! ), freelancers will make up 50 percent of the workforce. That will seriously impact how you do business! There are many benefits to using freelancers to build and grow your business. However, one of the most important “future-proof” benefits is this: in the event of an economic downturn, using freelancers will make you and your business far more nimble. Not only will it allow you to find and hire the best global workers, you won’t need to pay costs like office space or employee benefits. Definitely agree with Rampton here. While again these numbers are skewed since many of these freelancers are also fully employed, it doesn’t negate the fact that they are still doing some work on a freelance basis. Every study is showing that more and more people are moving to work in a freelance capacity, due to the freedom it can provide for their lifestyle. Is this good for business, maybe, maybe not, but it is a fact that you will have to be a part of this trend. 3. Prepare for the aging workforce. The US workforce is undergoing some serious shifts in terms of demographics. In fact, according to the CDC, by 2020 one in every four workers will be over the age of 55. As older workers begin retiring, companies will be left with openings in key leadership positions. To fill these gaps, businesses will need to consider whether to hire internally or externally. While smaller organizations may need to look almost exclusively to outside hires, the “world’s most admired companies” (WMAC’s) know that hiring internally is the wave of the future. According to Fortune, only 11 percent of WMAC’s anticipate hiring externally, while 81 percent say they’re preparing current employees to take over key positions. Now is the time to begin identifying high-potential individuals within your organization. This will give you time to invest in training and development, ensuring they’re ready for their new roles when the time comes. This is an interesting contradiction to the freelancer prediction in my opinion. With an increase in people moving to freelance, you may find that key leadership roles will actually move outside of the company and be held by those who left. I can definitely see a retirement package, being a consulting gig for the executive leaving their full time benefit laden gig with a more lean outlay for the company, but still very lucrative and more flexible for the now contracted retiree. Another trend are SuperTemps, which are basically well educated consultants who work independent of any organization, but are just as good, if not better than those you would find at Deloitte, Bain, Booz, etc. I can say that personally, we will look both internally and externally for our agency. 4. Adapt policies attractive to millenial employees. According to the Workforce 2020 Global Research report, one of the top concerns organizations have in terms of labor-market shifts is the rise in millennials entering the workforce. And while executives believe there key differences between how Millennials and other generational groups operate in the organization, most don’t fully understand exactly what these differences are. Due to recent economic downturn in many parts of the world, Millennials now expect to work for up to six or more employers over their lifetime. This means decreased loyalty toward employers, and therefore greater turnover. Millennials value flexibility and diversity in terms of their working hours, location, training and work/life balance. Millennials prefer to communicate electronically rather than in-person or on the phone. Employers will need to adapt their current model to accommodate this. Millennials prefer a digital wallet over being paid by check. They are demanding a new wave of ease in payments. I’ll be honest in saying that this is ridiculous to me in that we have to work hard to make these shifts. These types of business building activities have progressed since the beginning of time. Cultures change, behaviors change, rules change, technology changes, etc. and we have to CHANGE TOO! We see this as being a communication issue with organizations. Make the shifts like you’re going to have to anyway and convey the message that working with you is good for those reasons. Who cares how the work gets done as long as it gets done. And if you are communicating your values and beliefs correctly then you will attract the type of people you want in your organization and they will likely do the work in a similar style as you anyway. 5. Prepare your business for environmental and social sustainability. While becoming socially and environmentally sustainable is currently not a requirement in most industries, it may become so in the future. 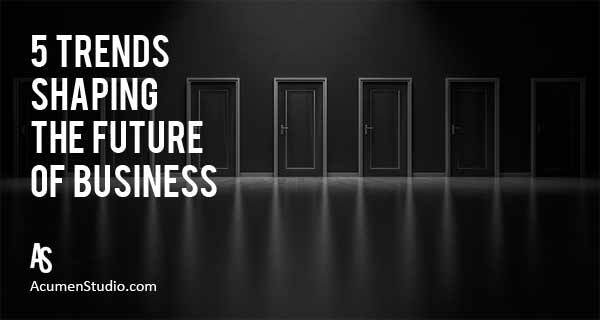 Beginning the process of becoming a so-called “future-fit” business can help you start the process now, ensuring you continue to grow and thrive into the future, without doing harm to society or the environment. Millennials really care about both of these issues, so you may want to up your own game in both of these social issue areas. Using the Future-Fit Business benchmark, businesses can define their own future-fit goals to ensure they’re on the path towards becoming sustainable. Businesses can aspire to a list of 21 goals, each with its own set of key fitness indicators (KFIs). The environment is important to keep healthy, because if we don’t, then we die (or our kids, grand kids, great grand kids, etc.). But social sustainability sounds a little off. Our society changes a lot and our views change with it. You could always argue that actions or inactions could positively or negatively affect society. My opinion is to do what you think is right and value feedback. As an example: A recent documentary I watched showed how the overwhelming charity given to areas in Africa has actually killed societies, due to the fact that they cannot sustain without these handouts, due to the fact that they get these handouts! Food given to these African cities, kills the local food economy and puts farmers out of business, clothing given to the cities, kills the local textile manufacturers and clothiers. See what I’m saying. So something you think is great for society could be really detrimental. These statements also make me think that we are in some type of a bubble as well. Needless to say, I like to give my two cents. I thought there was great thought put into the article and wanted to share with you all as well. If you want to talk to me about ideas like this then give me a call or send an email and I would love to talk shop with you. Especially if it’s in relation to content marketing or digital marketing audits! It’s easy to find case studies on beautiful campaigns for consumer goods, restaurants, and car manufacturers, but when it comes to B2B Campaigns, many struggle to produce good examples of beautiful high performing B2B Marketing Campaigns. 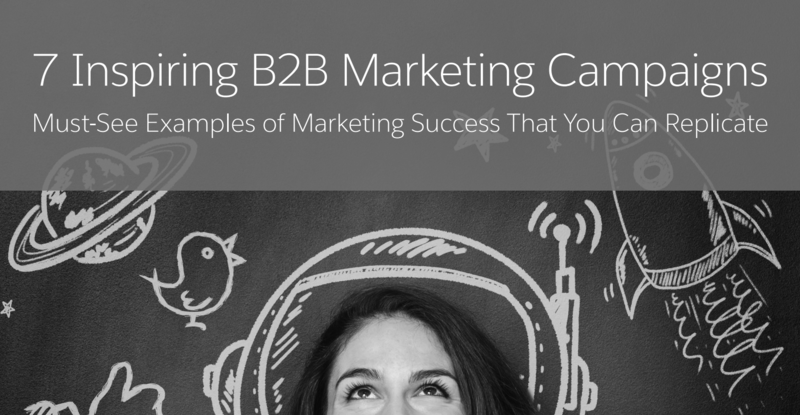 We have for you a PDF download that contains 7 Inspiring B2B Marketing Campaigns that you could do for yourself. 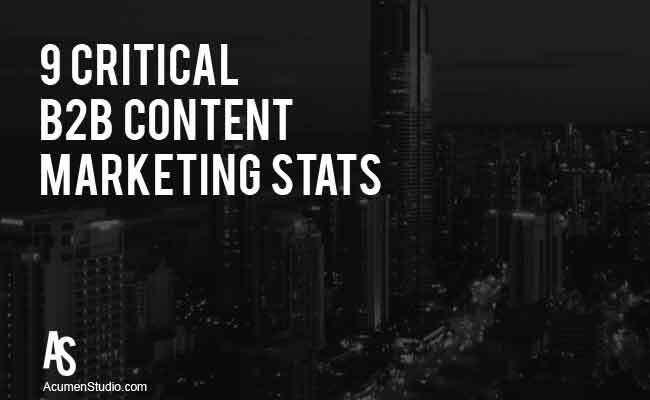 These 9 Critical B2B Content Marketing Statistics are superior examples of what You Should be doing in your B2B Content Marketing effort. CEO’s, Executives, Directors and Managers need to pay close attention as to how they are creating, distributing and engaging their B2B Content. 88% of B2B marketers currently use content marketing as part of their marketing strategy, yet only 32% have a documented content marketing strategy. 66% of B2B marketers rank LinkedIn as the most effective social media platform for their business. Other effective platforms were Twitter (55%), YouTube (51%), SlideShare (41%) and Facebook (30%). 66% of B2B marketers report using search engine marketing (SEM) / Pay Per Click (PPC), making it the most used paid marketing tactic among B2B companies. 55% of B2B marketers report that search engine marketing (SEM) is their most effective paid advertising method. 85% of B2B marketers say lead generation is their most important content marketing goal in 2016. Sales will be their second priority. 51% of B2B buyers rely more on content to research and make B2B purchasing decisions than they did a year ago. The conclusion here is that you really need to be investing more time, energy and effort into your B2B Content Marketing campaigns. Ensure you are driving more visibility, leads and sales. And the best approaches may be to focuson on using Paid Search / SEM / PPC, LinkedIn and Lead Ads on networks like Facebook. If you want to learn morea about how we approach content marketing for B2B companies then contact us right now. We would love to learn what your goals are. Many businesses have no clue how effective their digital efforts are within and outside of the organization. Teams are reporting to executive vanity metrics and isolated analyses that don’t tell the whole picture. This leads to the continued state of “You don’t know, what you don’t know”. Understanding how you compare and how effective your organization is a digital competence practice can dramatically increase your ability to be efficient and effective at strategic operations, marketing and finance. This will translate to higher margins, lower cost of visibility, increased employee happiness, lower cost and an increased number of new customers. Creating this scoring framework for your Digital Competence can bring structure and clarity to optimizing your business in two ways: ﬁrst, by deﬁning where digital technology has the greatest impact and, second, by providing a clear method for assessing how your company compares with the competition in capability areas that will be essential for success in the face of digital change. 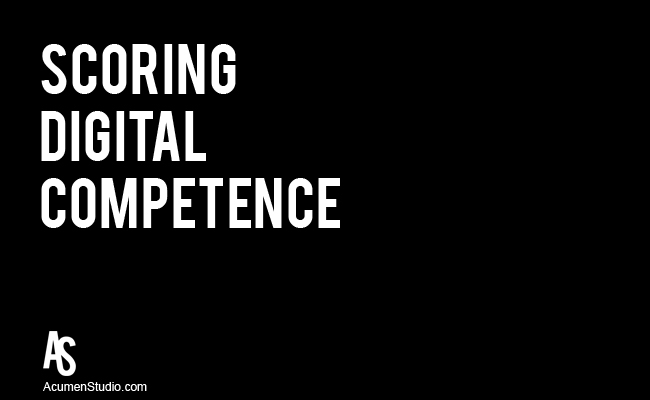 A fact-based assessment of a company’s digital competence can provide executives & managers with the intelligence needed to keep moving in the same direction or make a pivot when the digital scorecard has raised red flags. In retail markets, the paramount priority may be creating highly relevant omnichannel customer experiences that build strong relationships with a target demographic. For an auto supplier, on the other hand, the key issue may be how well it meets customer needs in areas like infotainment and assisted driving, or how effectively it deploys digital tools in its own business to manage its supply chain, inventories and product development. 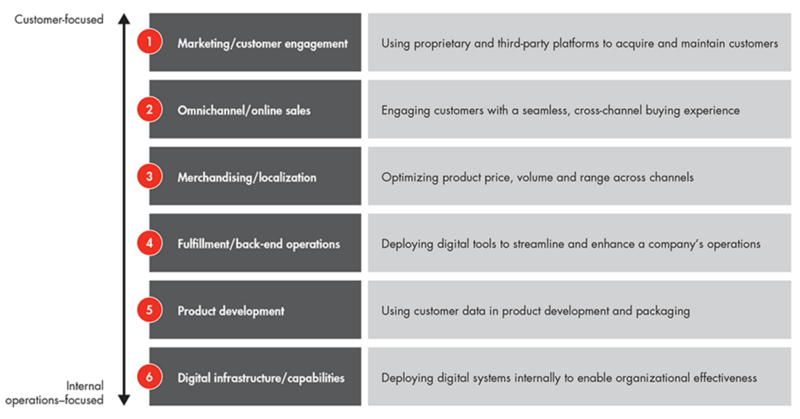 Deﬁning where digital contributes the most value in a given industry is the ﬁrst step in assessing where a company falls on a spectrum of excellence and leadership. It also helps identify where insurgents are disrupting the status quo and how quickly. Just a quick post today on something very important to us. What is the Best Marketing Technology? 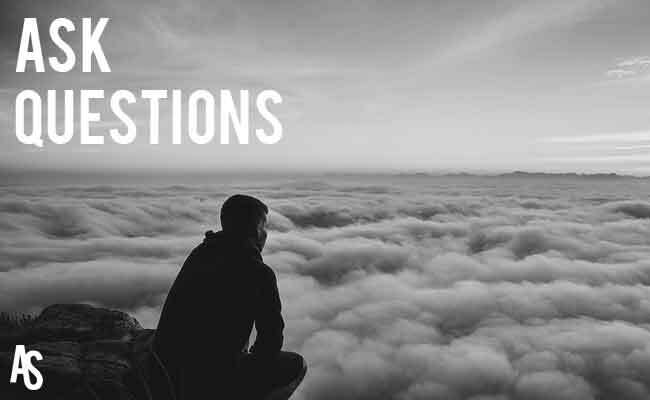 Questions are the most powerful tool we have as marketers. What you don’t know affects the outcome of your efforts. Many of us have solutions or “know” the market. The biggest thing we must focus on is The Goal. To know the Goal, we must ask what it is, if it isn’t known (which is an answer to your question) you must define it, which will require even more questioning. This cycle continues across all aspects of marketing, business, relationships, LIFE. Question Everything & Execute Intelligently!